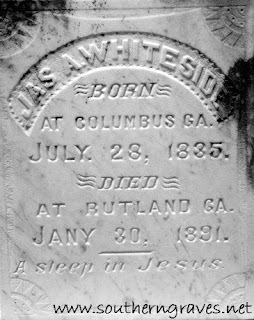 James A. Whiteside died on this date 118 years ago in Rutland, Georgia. He was born 28 July 1835 in Columbus, Georgia. James was buried in Sardis Cemetery; Bibb County, Georgia.